Our next AIA/CES approved TALK will be held on Wednesday, September 24 in Philadelphia. Get your tickets today! Bob Fox moderates one of our recent TALKs in DC. Photo by Erin Kelleher. Will you be in Philadelphia on Wednesday, September 24? Join us for networking and a lively panel discussion at the Philadelphia Center for Architecture. Tickets are available here. The topic of the AIA/CES approved event is “Acoustics and Managing Distraction,” and we are pleased to welcome an all-star panel of acoustics experts who will discuss topics including why bad acoustics can wreak havoc in open office environments, and how to identify and implement sound absorptive tools and materials in your workplace projects. Victoria Cerami is CEO of Cerami & Associates, Inc., one of the nation’s leading acoustical, audiovisual and technology consulting firms. She holds a Bachelors of Science in Mechanical Engineering from the University of Hartford and a Masters of Business from MIT’s Sloan School of Management. Having worked on over sixty million square feet of office space for Fortune 100 companies both nationally and internationally, Victoria is a recognized expert in workplace acoustics and change management. Victoria is also a frequent author and presenter who has written articles for Contract Design Magazine and office:insight, and presented on “acoustics in the new workplace” at NeoCon. Some of the firm’s recent projects include headquarters facilities for Google, Coach, Comcast, Northwestern Mutual, and Devon Energy. Steve Johnson is the founder of ADI Workplace Acoustics and leads the company’s work in delivering high performing acoustical environments nationwide. Steve teaches accredited courses on workplace acoustics aimed at providing design professionals with common sense acoustical tools; these tools play an active part in allowing fast evolving workplace trends to maintain productivity and focus for employees. Steve’s background in acoustics, audio and commercial construction allows a unique ability to improve acoustics through material choices, construction methods and sound masking technology. Steve is a member of CoreNet Global and has served in leadership positions in the Denver Chapter. Leigh Stringer is Senior Vice President for HOK in Washington, D.C. She is director of innovation and research for HOK’s consulting practice and provides practice leadership in the disciplines of strategic master planning, facilities planning, workplace strategy and sustainability consulting for corporate clients. 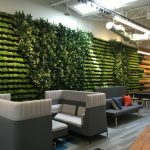 She helps companies across the globe create inspiring, sustainable and high-performing environments that facilitate collaboration and enhance wellness and productivity. She has been a featured speaker at industry events for Greenbuild, American Institute of Architects, International Facility Management Association and CoreNet Global. She also has been interviewed for her work by CNN, USA Today, Good Morning America and the Wall Street Journal. Leigh is the author of the book, The Green Workplace: Sustainable Strategies that Benefit Employees, the Environment and the Bottom Line. Presently, she’s working on her second book, The Healthy Workplace: How to Lose Weight, Reduce Stress and Increase Productivity at Work. Bob Fox, our publisher and the founder of FOX Architects, will moderate. The event will be held at the Philadelphia Center for Architecture at 1218 Arch Street. Heavy hors d’oeuvres, beer, wine, and soft drinks will be served. We hope you’ll join us — tickets and other event details are available here.